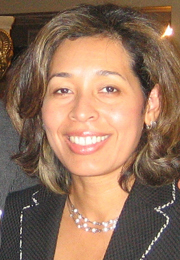 Ms. Yanira Cruz is the President & CEO of the National Hispanic Council on Aging (NHCOA). She also currently serves on the Boards of the Latin American Youth Center (LAYC) and the American Diabetes Association (ADA). Ms. Cruz has been appointed to serve on the Advisory Panel on Medicare Education (APME), which advises the Secretary of DHHS and the Administrator of CMS on opportunities to enhance the federal government’s effectiveness in implementing a national Medicare education program. She also holds an adjunct faculty appointment at The George Washington University School of Public Health. Before joining NHCOA, Cruz served as executive director and chief operating officer of the Hispanic-Serving Health Professions Schools (HSHPS) in Washington. She joined HSHPS after serving as director of the Institute for Hispanic Health at the National Council of La Raza (NCLR) where she led numerous public health programs to improve the health status of Latinos nationwide. Ms. Cruz received her Bachelor of Science in Biology and holds a Master’s degree in Public Health with a concentration in International Health from The George Washington University School of Public Health, and is currently pursuing a Doctorate in Public Health. Her primary focus is to provide a Hispanic perspective on public health issues, to increase policy-maker and public understanding of Hispanic needs, and to encourage the adoption of programs and policies that equitably serve Hispanics.